North Atlantic right whales just lost in court, and that decision could possibly sentence the last remaining 300 whales to extinction. In a disappointing decision, the court denied our motion for summary judgment in a lawsuit that challenged the Navy’s reckless decision to construct and operate a 500-square-mile undersea warfare training range next to the whales’ only known calving ground near Jacksonville, Florida. 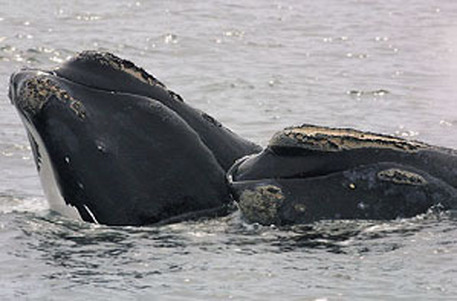 ï»¿The goal of the lawsuit was to protect critically endangered North Atlantic right whales that are susceptible to ship strikes, entanglement, and noise disruption as they give birth to calves in the warm waters off Florida and Georgia. Scientists believe the loss of even one right whale from non-natural causes could jeopardize the future of the entire species. Hunted nearly to extinction, North Atlantic right whales teeter on the edge of survival – with only about 300 to 400 remaining. Despite the judge’s acknowledgement that right whales are “the world’s most critically endangered large whale species” and that their only known calving ground is “vital to the population,” she sided with the Navy’s plan to build an underwater sonar training range right next to that calving ground. The National Marine Fisheries Service has specifically recognized the importance of this calving ground as a "very high-risk area for pregnant females, new mothers, and calves." Once constructed, the Navy’s undersea warfare training range will be the site of intensive, year-round sonar training exercises, effectively transforming the waters into an epicenter of sonar use. Sonar has caused mass injuries and deaths of whales around the globe. In addition to injury and death, sonar can also induce panic responses, displace animals, and disrupt crucial behavior such as feeding, breeding, navigating, and avoiding predators. Mothers and calves are the most vulnerable segment of the population. 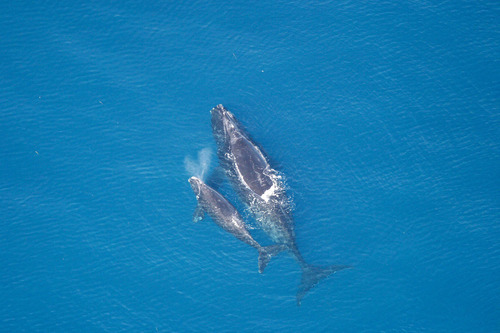 Not only are they the most susceptible to noise, but they would also be highly exposed to ship strikes – the number one source of mortality for right whales – because they are more likely to remain on or near the surface of the water as a result of the limited lung capacity of newborns. Unfortunately, their dark coloration and lack of a dorsal fin will make them difficult for the Navy to visually detect, which is currently the Navy’s primary means of mitigation. To make matters worse, the Navy specifically rejected repeated requests from the states of Georgia and Florida, scientists, conservation groups and concerned citizens to implement mitigation measures that could reduce the harmful impacts of its sonar training – including seasonal restrictions during the right whale calving period. This means that sonar training exercises will be conducted year-round on the new training range, while right whale calves are being born and nursed. In other words, mothers and calves will be put in extremely stressful situations at the most vulnerable time in their life. Unfortunately, this court ruling gives the Navy a judicial stamp of approval to do just that: steamroll ahead with its plans to construct and operate an undersea warfare training range right next to their only known calving ground. It’s a bad day for endangered right whales.